1. Low student-to-instructor ratio (more attention on each individual kid to ensure more fun). 2. Unique activities for exercise that no other camp within 100 miles (or more) would possibly offer. 3. Your kids will be taught by rad instructors that have spent years traveling the world surfing, skating, and hanging at the beach'. We can't wait to share our passion with your kids! 4. We provide the healthiest, yummiest snacks (homemade and accommodating to allergies). 5. The hours of camp are from 9 AM - Noon which allows a day full of naps, play dates, and family time after camp. 6. Your children will learn water safety through lessons on rip currents, winds, flag color, and lifeguard importance. 7. 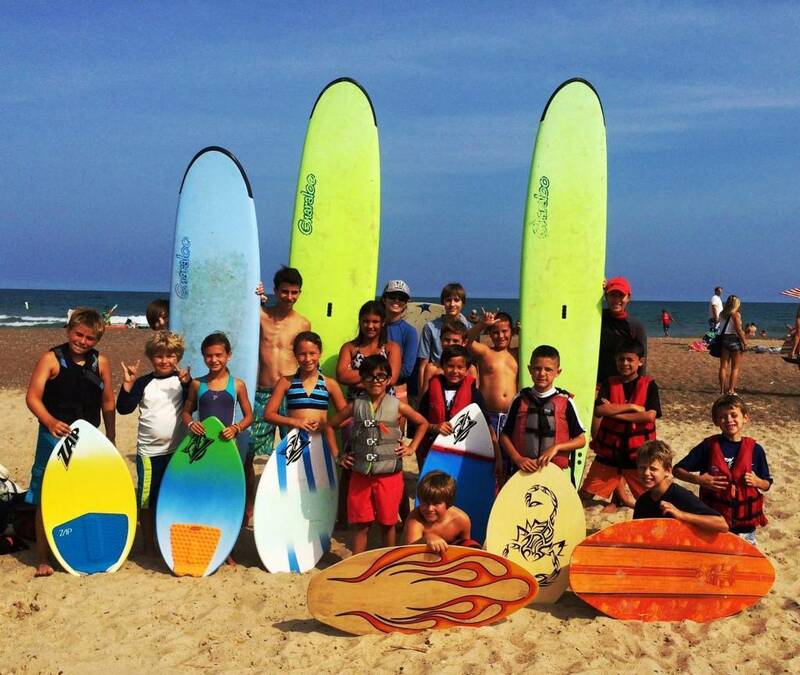 The value of our camp is unmatched for the activities we teach (a typical private surf lesson is $75 and for five days a week that would equal ... hmmm... too much money. What we're trying to say is that this camp is a killer deal). 8. Our camps can easily fit into a parent's work/travel schedule due to the option of a 5 day camp or 1 day camp. With camps being held at both New Buffalo and St. Joseph, parents have a choice for where they want to let their children explore new hobbies! 9. Your kids love to play at the beach. It will be a summer camp that will remain in your kids' memory forever. 11. It's an easy camp to sign up for! You can do it HERE!